Juliana Bragawas born in Belo Horizonte. At the age of ten, she started her education in modern dance, theatre, afro-brazilian and folklore at the first dance school for modern dance in the city.For ten years, Juliana works as a teacher, dancer and choreographer. AfterJuliana’s father took her to a gafieira( a place where people dance samba, bolero and other partnering dances) she discovered saloon dance as her passion. 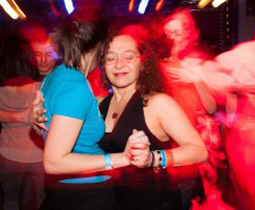 From the 1990s, Juliana has given numerous workshops and creates dance projects all across the Netherlands. In 2007 she opened her dance school in the centre of Amsterdam. 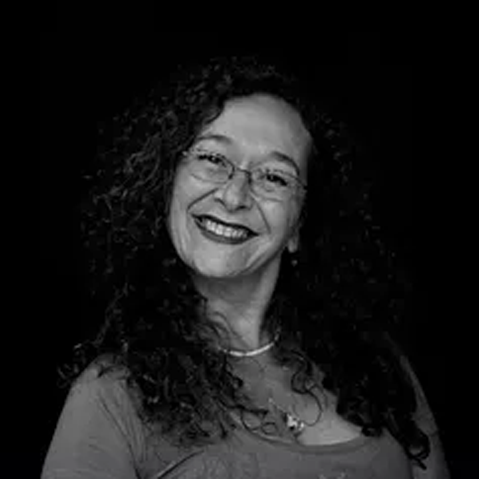 Besides forró, samba solo and samba de gafieira, she also teaches musicality and body awareness. Especialidades de Aula no Festival (em inglês): Musicality and body awareness.